DTaP prevents all three diseases. It is for children younger than seven years old. Tdap also prevents all three. It is for older children and adults. DT prevents diphtheria and tetanus. 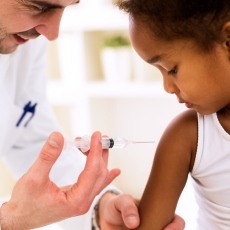 It is for children younger than seven who cannot tolerate the pertussis vaccine. Td prevents diphtheria and tetanus. It is for older children and adults. It is usually given as a booster dose every 10 years. You may also get it earlier if you get a severe and dirty wound or burn. Some people should not get these vaccines, including those who have had severe reactions to the shots before. Check with your doctor first if you have seizures, a neurologic problem, or Guillain-Barre syndrome. Also let your doctor know if you don't feel well the day of the shot; you may need to postpone it. Article: Lessons Learned from the Testing of Neonatal Vitamin A Supplementation.